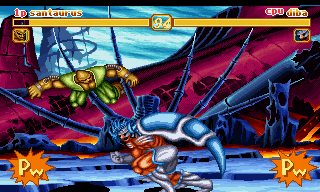 Protocoss came totally out of the left field. 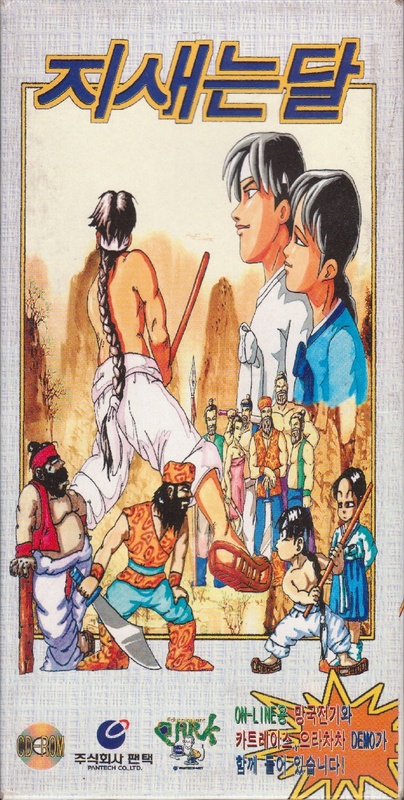 It was the only title developed in-house by publisher Games & Multimedia, although some of the graphic designers had worked on Twins before. 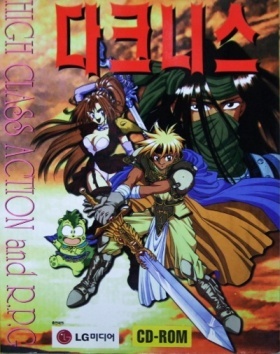 Although the game gets off to a slow start (and a very slow initial walking speed for the main character), its production values and quality came as a big surprise. 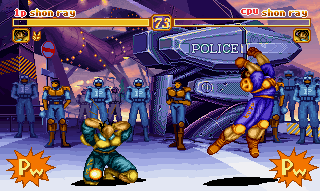 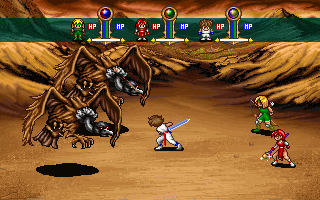 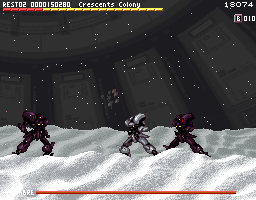 Of all Korean RPGs, Protocoss might be the one that most closely follows the Final Fantasy formula, with ATB combat in an enlarged quasi-sideview, numerous characters that join the party during the course of the adventure beyond the five that are active in combat at any given time, and a rather similar visual design to Square's 16-bit output. 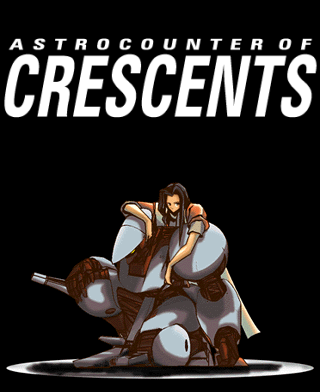 Similar to Protocoss, Astrocounter of Crescents was also one of the odd gems among Korean games, coming by unknown developers that didn't have much of a portfolio yet. This was all the more impressive as the developer Object Square Team consisted of only two people (although the music was outsourced to TeMP): Kim Donggun and Yi Eunseok, two students of the computer science program at KAIST1, who formerly were only known for the freeware Parodius homage 85 Doeeossuda. 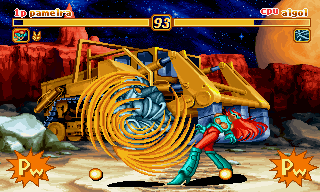 The extensive particle effects are a bit taxing on system speed, which can still be an issue when running it through a virtual machine nowadays. 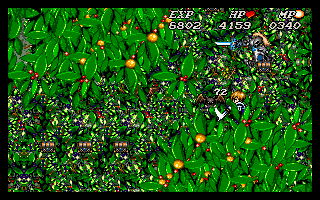 There is also a problem with DOSBox not supporting the programming tricks used fro the scrolling, which is supposed to be very smooth, but turns out really choppy in the emulator. 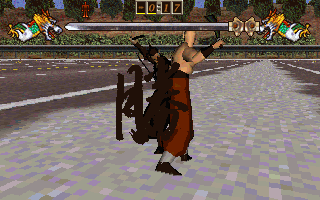 But otherwise the visual impression is ace. 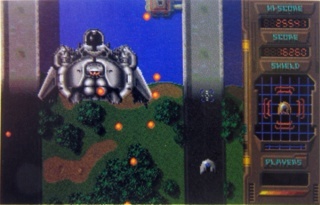 The level design is not too elaborate, but mean enemy placement and in result the required tactical approach prevent the game from ever getting boring. 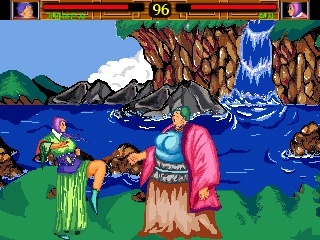 Crescents is very hard, but after the Game Over, one can always start on the same stage, so frustration is kept to a minimum. 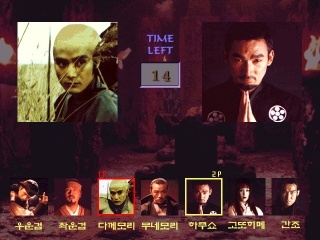 There is no saving function, however, so the nine stages have to be played in one sitting to see the ending. 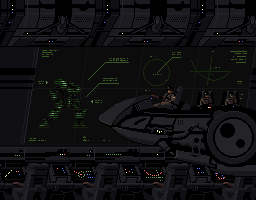 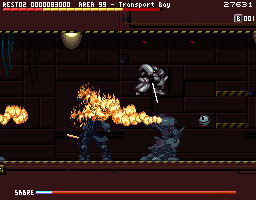 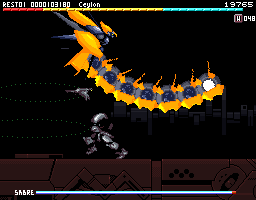 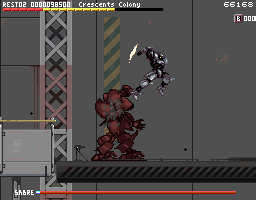 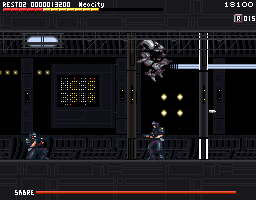 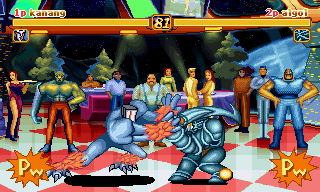 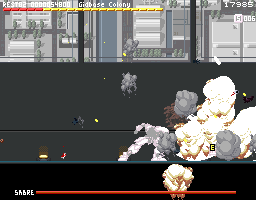 The mecha the player is in control of is mostly built for melee fighting, and there are various different attacks. 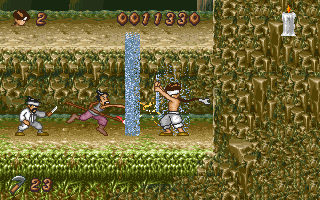 Controls for those are easy to pull off, only the stab is a bit too easy, as it just requires pressing the attack button while walking in any direction. 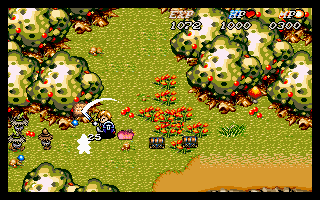 This results in many accidental stab attacks, and the animation keeps the mecha vulnerable for quite a long time when used in the wrong situation. 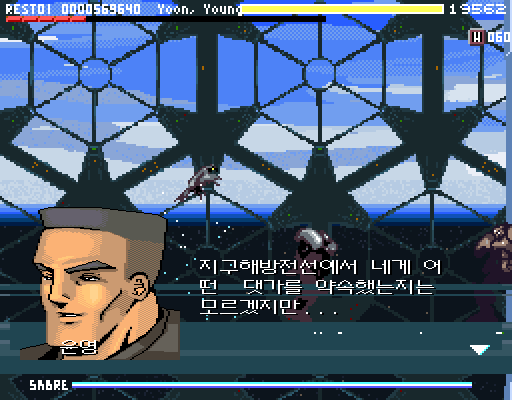 For a sidescrolling action game, Astrocounter of Crescents is quite heavy on the story, but of course all the dialogue, which is represented next to hi-res character portraits, is in Korean, so for most non-Korean players this would mean just a lot of text boxes to click through. 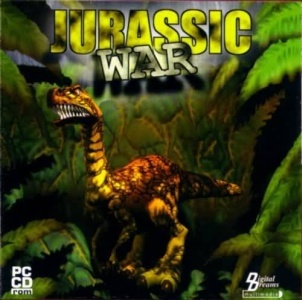 That isn't too much a problem, though, as it gives opportunity to listen to the awesome soundtrack by the famous team TeMP (nowadays called SoundTeMP). 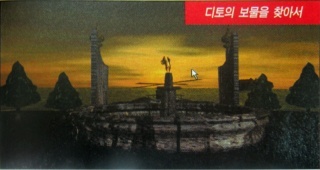 Samsung reported that the game was quite successful, and the initial print run of 5,000 copies sold out in less than a month2. It is not known whether a second print followed, but it appears there was a recall for the discs because of a jokingly insulting message Kim Donggun left in for his partner to stumble upon during testing, but forgot to remove it in the final version3. 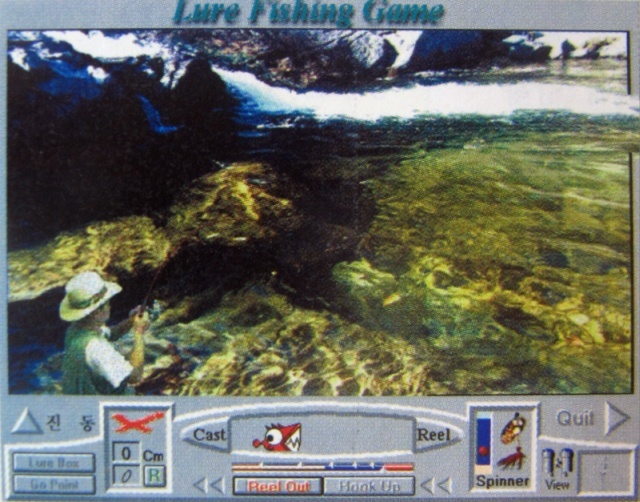 In 2002, Mobile Nature ported the game to cellphones4, although it is hard to imagine that much of the original has been left intact during those early years of mobile gaming. 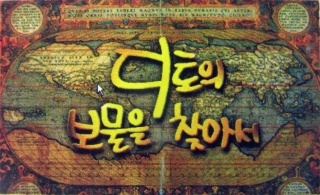 Both Kim Donggun and Yi Eunseok have now leading positions at Nexon's devCAT studio, creators of the Mabinogi series5. 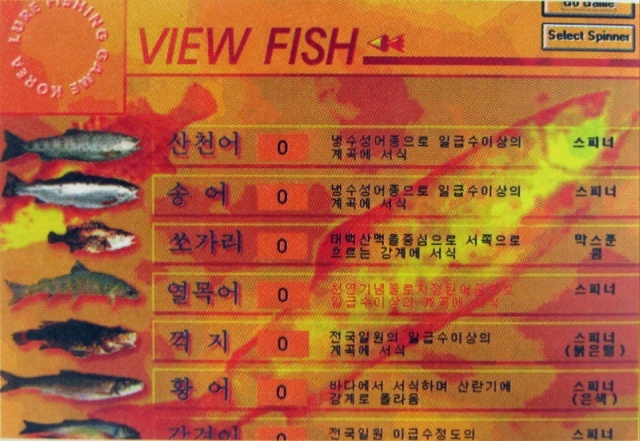 The lucrative (in Korea) fishing game market wasn't left to Taff alone. 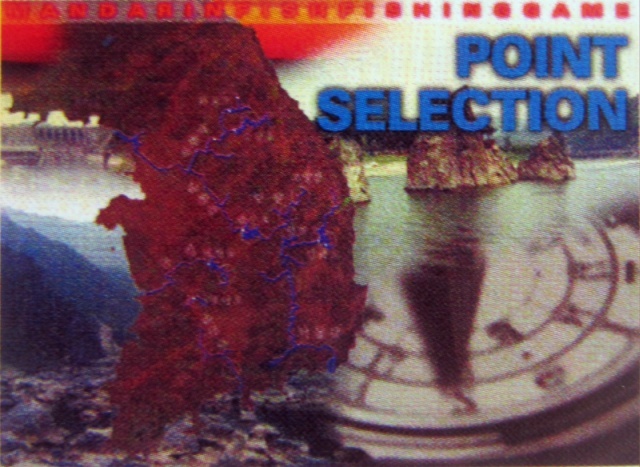 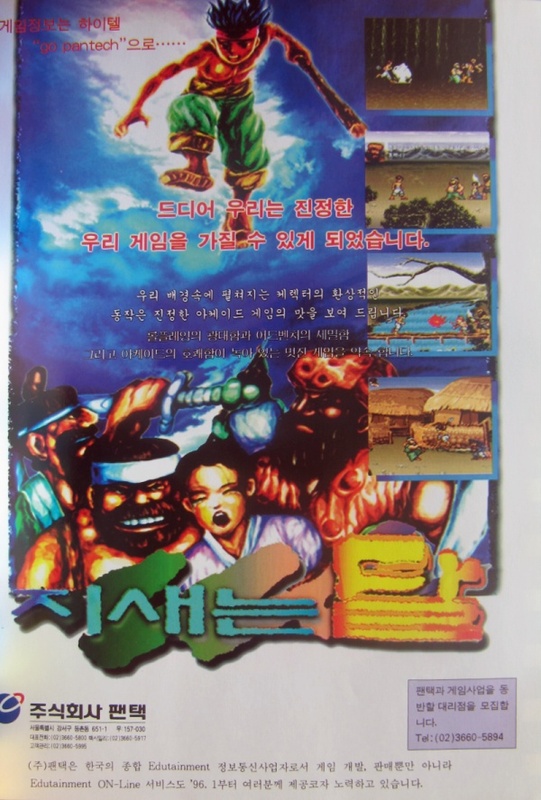 The competing product by PI Soft could even boast with Windows and high resolutions in a time when the Nakksiwang series were still DOS VGA games, but nonetheless never reached the popularity of the latter. 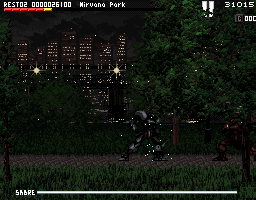 Some would call Darkness an action RPG, but "little programmed mess" would be a much more befitting moniker. 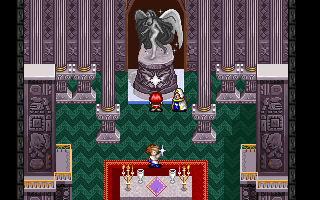 The string of bad design decisions already starts with the copy protection, where five statues have to be hit with a weapon from left to right a certain number of times. 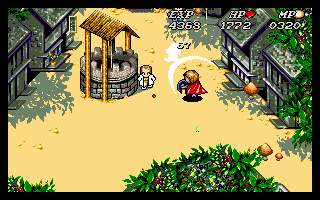 However, a bunch of enemies crawls just in front of them hitting the protagonist while trying to activate the statues, of course when one instinctively tries to hit them back, it's very easy to accidentally hit the statues instead, as hit detection is very rough. 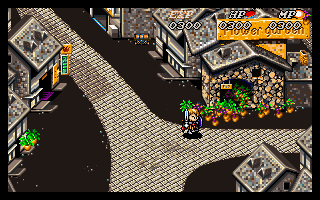 Then the game just drops the player in a city without a tutorial or at least a first basic instruction of what to do. 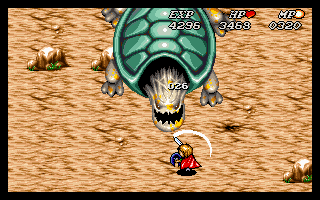 Wandering around aimlessly, one eventually stumbles upon a cave and at its end a giant turtle as the first and only boss in the game. 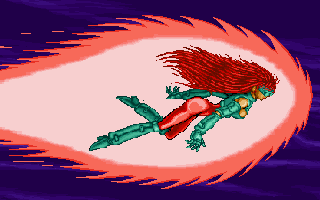 When getting there too fast, however, there's not the slightest chance to beat it, because it's radically fast not just for a turtle, and each of its attacks may randomly drain either about 50 or 500 HP, whereas the starting maximum is 300. 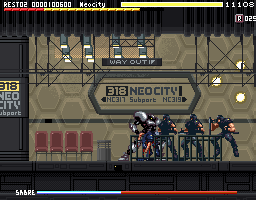 So that means going back to do some grinding, but players that already saved on this map are SOL, as the entry is blocked (not visually, though, there's just no exit trigger). 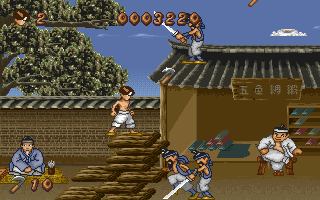 Grinding fortunately doesn't take much time, so after about an hour the little hero is ready to face the turtle. 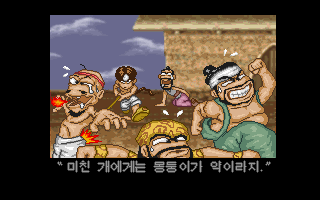 Not thanks to the enemies, though, which at that point only give 1-2 EXP upon defeat. 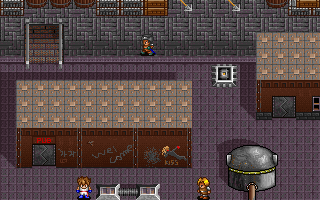 Much more lucrative is plundering chests, which respawn each time an area is revisited, just as the enemies do, and contain healing items or EXP upgrades for up to 100 points. 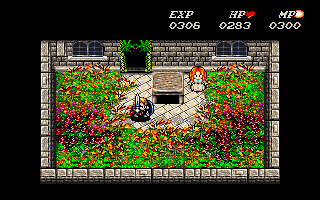 Even cutting grass brings faster results than beating enemies. 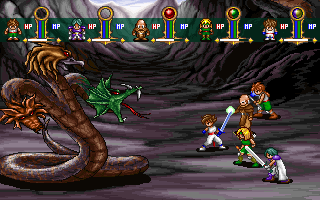 Fighting gets also more annoying as the game processes, especially when it comes to monsters with ranged attacks. 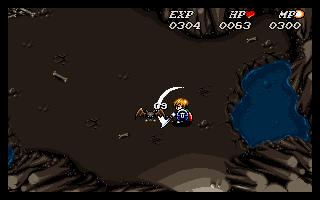 The hero is equipped with a bow and a boomerang as well, but their use is paid for in hit points, and the latter also has a ridiculously short range. Finally there's a spinning special attack, which is completely useless as it never hits the enemy. 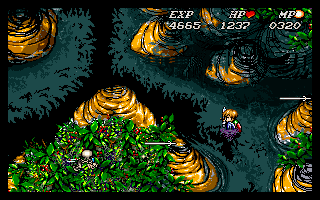 To make things even worse, once the vicious turtle is finally disposed of, a convoluted maze of huge areas follows, giving no purpose or guidance that goes beyond "save the world" and "don't get lost in the forest". 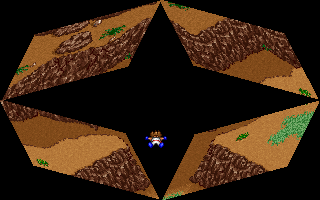 Exit and entry points make no sense whatsoever and are all over the place don't exactly make orientation easier, neither do the countless invisible passages. 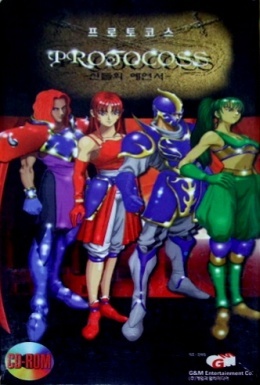 The box art shows three main characters and a mascot type animal-thing, the boy hero type is the only playable characters, whereas the other two appear only in the ending. The game not only appears unfinished, it actually was only the prologue, with the rest of the adventure postponed for later episodes. Yet Darkness remains the only game of the small development team Dot&Bit. 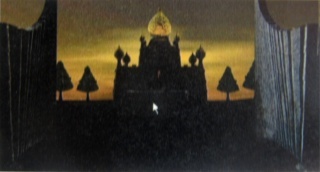 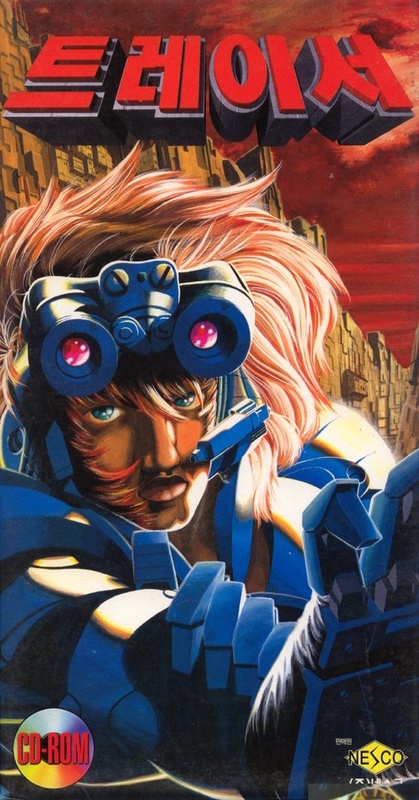 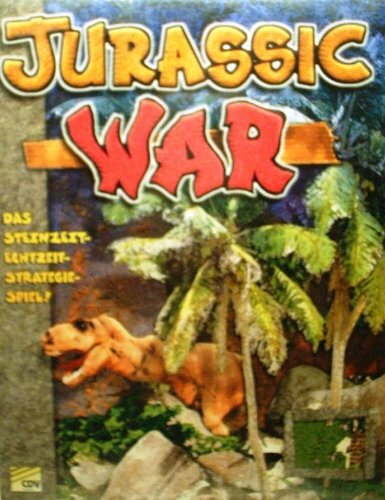 Soon after its release, a sequel was advertised, but no more than some artwork was ever seen of it. 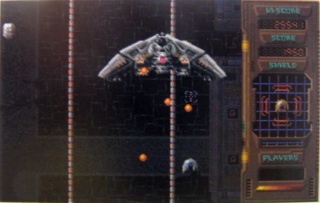 Tracer is a top-down view run-'n-gun. 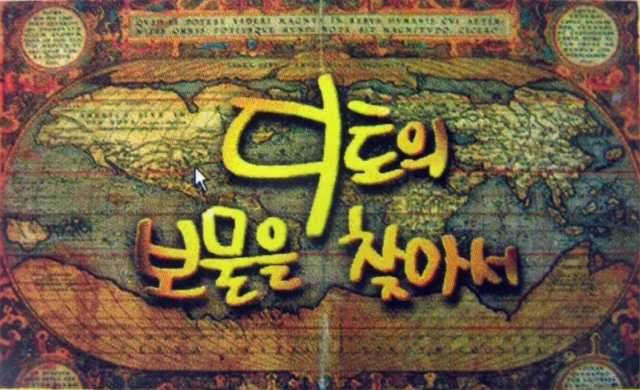 Not much else is known about it. 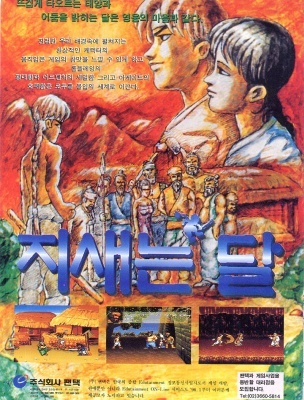 After publishing many games by Mirinae Software, Pantech assembled their own development team and produced this platformer (with assistance by some Mirinae staff). 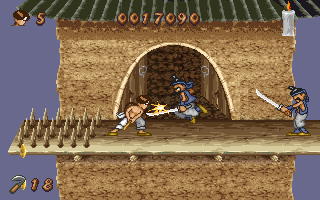 The whacky tale about a peasant boy who has to save his love from the grasp of an arrogant noble's son would be quite a decent platformer despite sometimes frustrating jumping mechanics, if it weren't for the extreme bugs that spoil it. 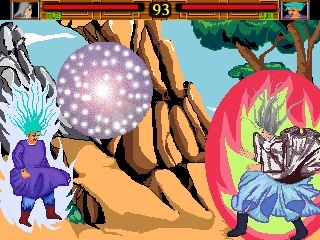 There is an ingame option for speed, but when it is not set to the "correct" value (which is not the default) a glitch makes the hero effectively invulnerable for the rest of the stage after he is his by an enemy. 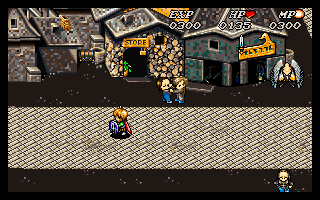 There is also a cutscene at one point that might or might not get triggered, and thus makes progress a question of good luck. 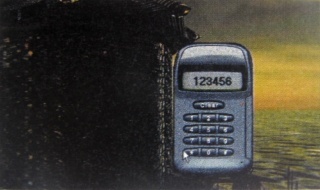 The game has a password system, though, so game breaking bugs don't set one back too far. 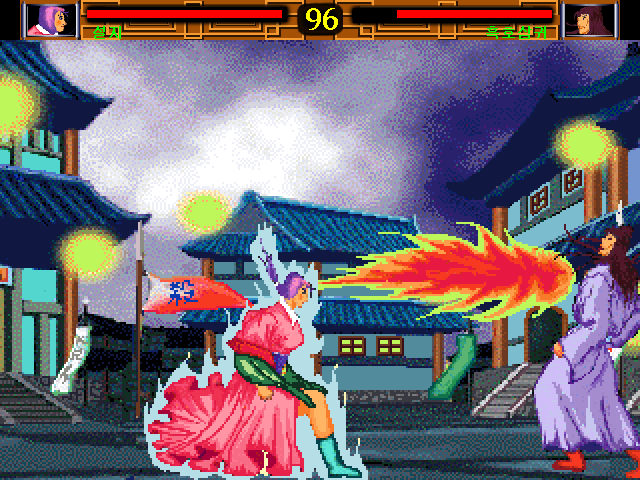 The Gate of Destiny is an intriguingly different 1-on-1 fighting game, though ultimately unplayable. 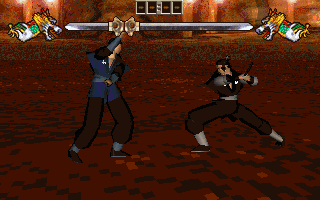 It features a strangely behaving 3D camera and a health system where the two health bars of the contestants are interlinked, so one can only win by getting the clear upper hand (and by waiting for the time limit to end). 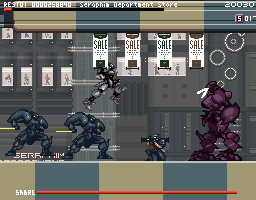 The game was a tie-in with a contemporary time travel movie and features footage from the film as cut scenes, but it's handled all weird. 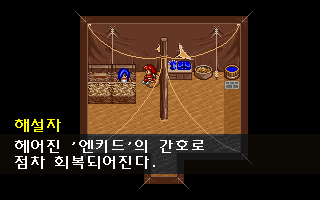 The audio is replaced by music only, and speech only appears in subtitles. 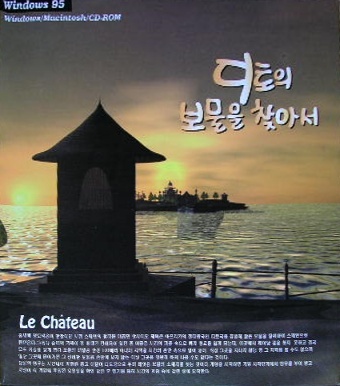 After the failure of Cheonha Mujeok, Baek Namkil left Softry to form his own company, Yeonwoo Soft, taking the entire graphics team with him. 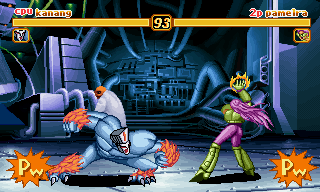 They then teamed up with Deca Team's programmers to make a much more playable fighting game. 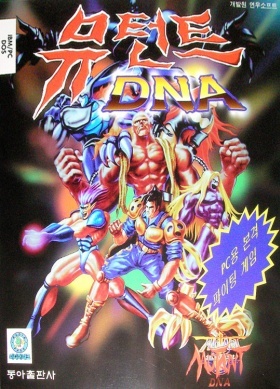 Mutant DNA is actually one of the better DOS fighters out there, despite the limited cast of only 8 characters plus 1 boss and occasional glitches. 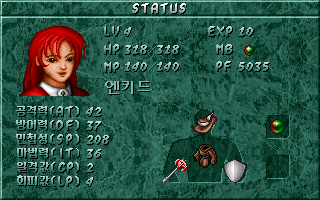 Yeonwoo Soft started a number of projects after Mutant DNA, but this remained their only release. Vertical shooting game by Samwon MIT. 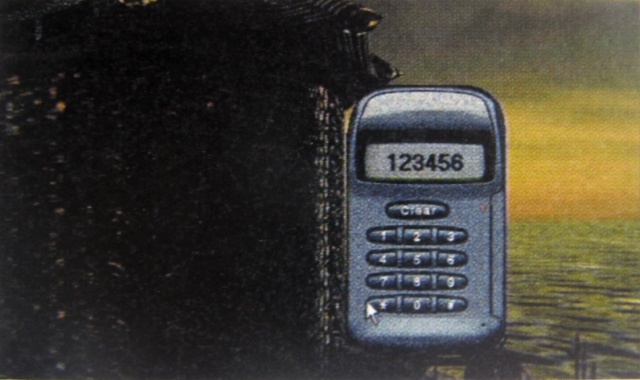 Not much is known about this. 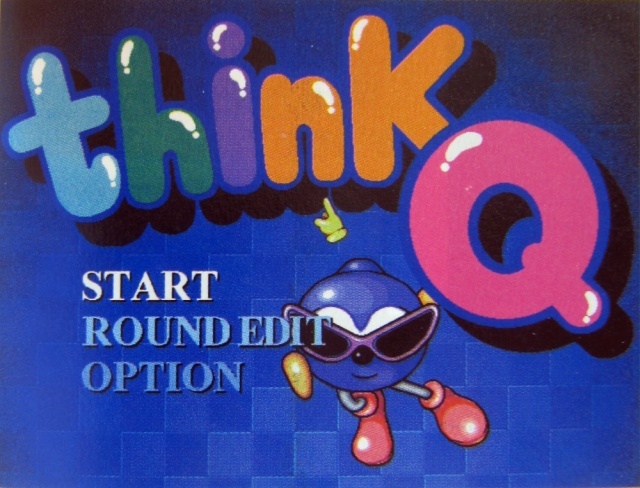 Among the many games Dongsung Joycom announced, Think Q was one of the few that actually saw a release. 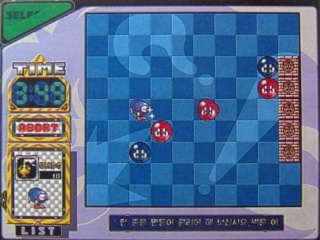 At first it looks like a blatant clone of Makkoya's Spread Out series thanks to the red and blue colored blobs, but the rules to Think Q are far more elaborate. 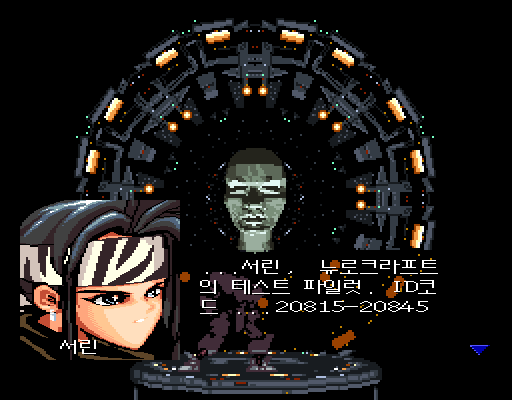 It's so complex, actually, that it's hard to understand just by textual descriptions in Korean, so a further description has to wait until the game itself can be retrieved. 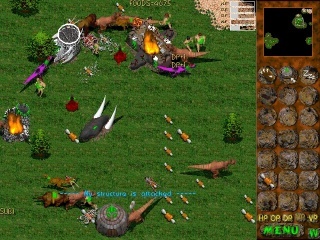 This RTS by a developer named TRIC (Tranquil Revolt in Computer) puts the player at the top of one of eight prehistoric tribes, each with their own specialty. 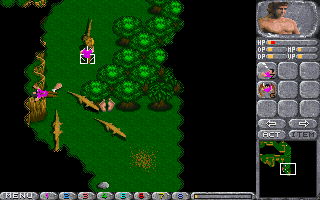 The Romack employ rangers able to hunt enemies without much danger, which also serve as teleporting magicians, the martial Masai are masters of combat and can produce a wide array of weapons and shields, whereas the Tyrano command over dinosaurs (quite the biblical creationist setting here) and so on. 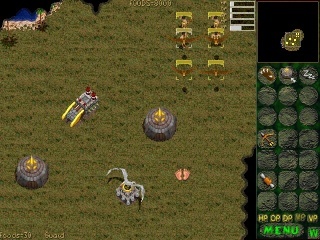 The variety of units per tribe is limited, but eventually one learns to capture the enemy's sanctuary and thus pacify them under one's own banner, opening access to ever more different troops. 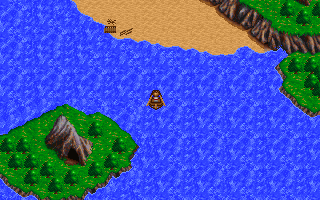 The single player campaign leads each tribe to successive conquests against the others, until the whole population is unified. 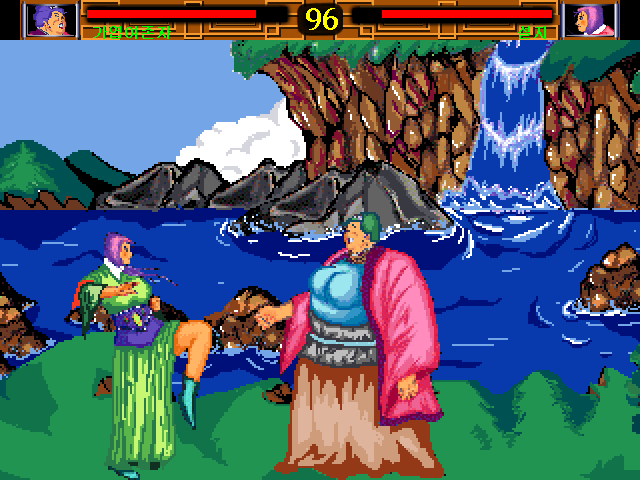 About a year before its eventual release, TRIC uploaded a demo version, which still ran in 320x240 VGA graphics with pixel art instead of the final high res rendered visuals and looked rather close to the first Warcraft. 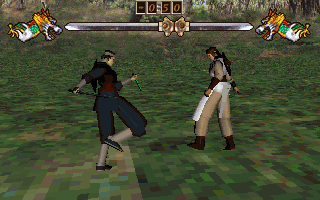 While the graphics have been fully updated, the clunky, unintuitive interface still betray's the game's early roots and makes coordinated movements quite difficult to pull off. 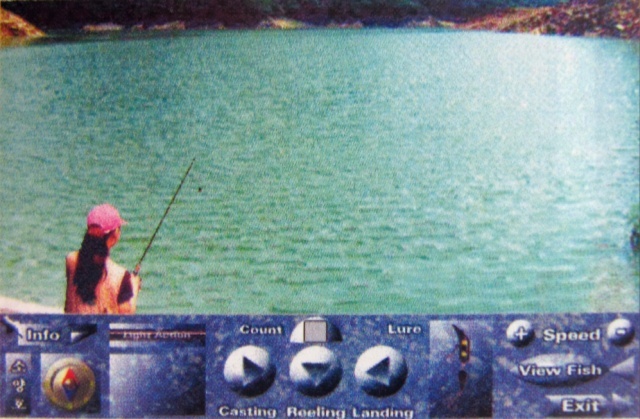 The only ressource in the game is meat gained by hunting. 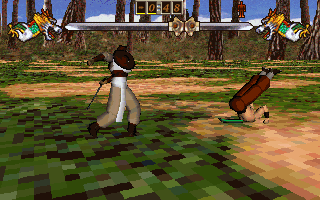 There's no way to automate this, so the player is always occupied killing enemies and carrying the gained food back to a storage, which gets tedious fast. 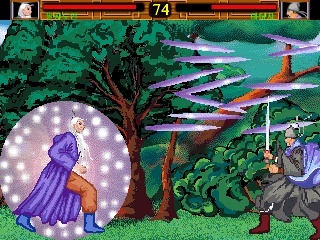 In 1998, TRIC announced a sequel to the game, to be published by Wizard Soft. 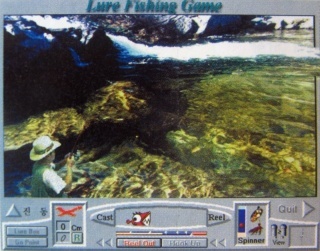 Before the game could be finished, however, TRIC was bought by Mips Software6. 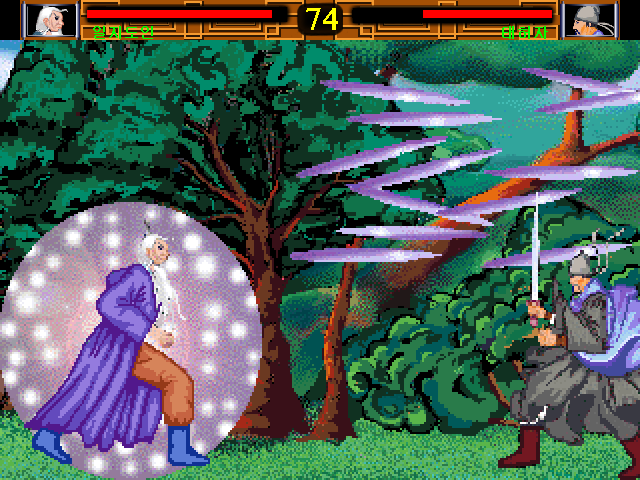 Yet the rights for the game stayed with Wizard Soft, and a part of the team left to join the publisher and start the game almost from scratch, similar to what they already did with the first game. 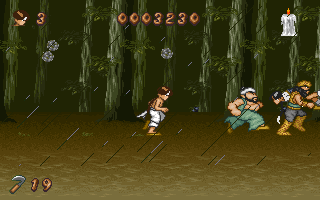 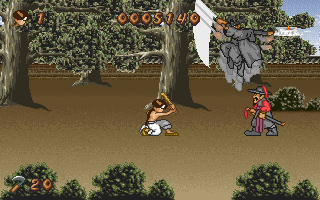 Both games were also published in Europe. 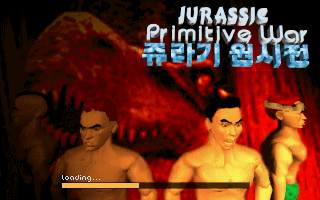 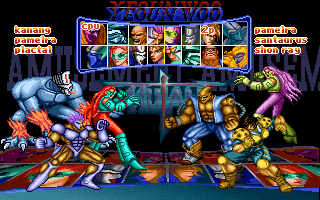 Korea's first fighting game for Windows. Based on a comic book with the same name, and featuring the weirdest-but-in-a-good-way looking graphics ever. 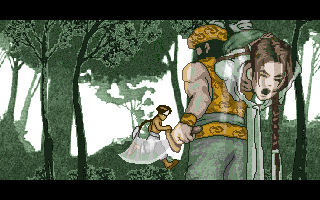 The drawing style has that strange morbidity to it only ever seen in 70s Chinese Wuxia films. The gameplay, unfortunately, is not as unique. 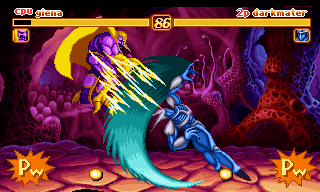 It's just your average PC fighting game with abysmal controls. 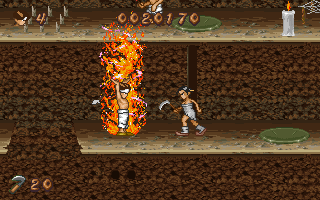 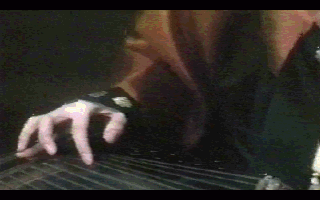 Being an early generation Windows game, Saengsado also runs rather glitchy on modern systems. 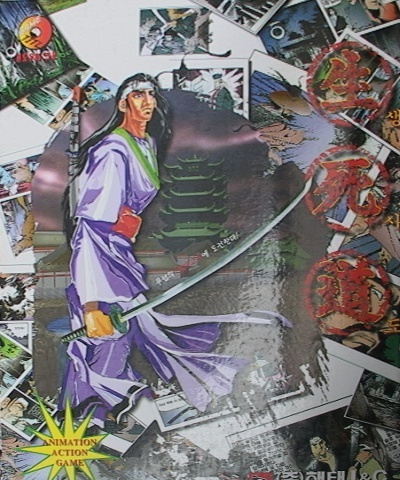 The game CD also contains a (tiny) digital version of the comic.